From January through April, the world’s top riders and their amazing horses return to Wellington to take part in the 12-week Winter Equestrian Festival at the Palm Beach International Equestrian Center. The crowds will be on hand to watch the steady beat of hooves and the graceful movements as horse and rider head over jumps, aimed for the history books. Olympic-caliber riders will join up-and-comers, children, juniors and adult amateurs in the ring to take part in a horse show series that offers something for every age and skill level. 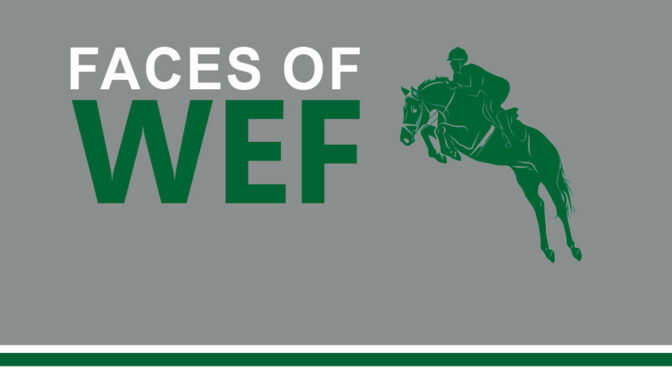 Over the next few pages, you’ll get a glimpse at just a handful of the impressive riders competing this season in our annual Faces of WEF feature. Make plans to spend some time at the show grounds this season to learn more about why Wellington is known as the “winter equestrian capital of the world.